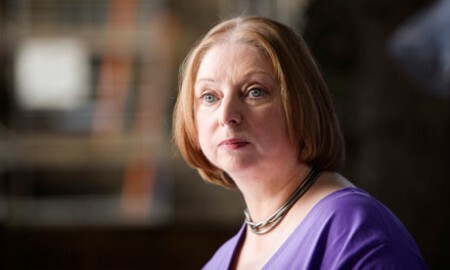 When the world press went into a froth over Hilary Mantel’s remarks about the ‘Plastic Princess’ Kate Middleton, the worst thing that could have happened, happened. David Caeron decided to weigh in with his two cents’ worth, predictably siding with the royals and getting his facts wrong in the process. It was a biut like the moment when the Pope decided to comment on ‘The Da Vinci Code’. For the record, what Mantel said was part of a larger essay about the role of monarchy in modern society, and like everything else she writes, is a brilliantly sustained piece of prose. I particularly liked the part about the kebab sticks. I’ve linked the full text of the speech – take a few minutes to read it here – you’ll be glad you did. A very different version from that depicted by the press and commented on by others. Gosh, it is almost as if they hadn’t read the original. I don’t know which is the more depressing; the faux outrage of a media that itself spends an inordinate amount of time and space in a relentless and unending critique of (predominantly female) celebrities, or their impulse to reduce any comment by one woman on another to the status of a closing time catfight. A very big difference, indeed. I found her essay particularly interesting as it gives insight into herself as a writer and as a collector of snippets for her writing. And then she discusses her Man Bookered-up two novels and the royal characters in them. The pile of toothpicks observed around the stand, as well as the unhomey side room with the stacked chairs, are fine “cold” observations; excellent telling detail. Based on the dropped kabob sticks, she probably had to currycomb her puffed hair for additional discarded wood the next morning. Okay, I won’t put off starting novel II any longer. The only excuse for this media frenzy reporting is that the newspaper ran out of pictures showing pets that look like their owners or dogs in funny hats. Newspapers concoct this sort of rubbish to drive page views. The income from print is zero at best and in most cases negative. It’s all about getting visits to their websites. The last big example [that I can remember] was the dozy dollop that complained that she was ‘too pretty for the village she lived in’. While it works they will keep doing it. Do not, visit their sites, and never link, blog, tweet or facebook etc. any of their rubbish as it only encourages them. I listened to the entire speech online, and have been pretty annoyed at how a tiny excerpt is being taken so vastly out of context. The speech is about the interactions between royalty and the public in more than one era and about the way royal woman have been perceived through history with particular attention to the period Mantel has been writing about. Kate Middleton was merely the starting point of the narrative, and certainly she will inevitably a vessel for the image building of others that is discussed in Mantel’s remarks. As to “plastic princess’ Mantel doesn’t seem to be saying that’s who she is, but is rather remarking on how her ‘marketing’ made her appear early on. I love her to bits and found the article fascinating. The involvement of politicians in these spats is always annoying. Why can’t they learn that they don’t have to weigh in on everything? I read the whole thing and agree that the bits I heard on the news were incorrect and showed ill manners on the part of the media, but I felt that MS Mantel rather galloped off in all directions with it. I hadn’t heard the King Henry diagnosis before and find that fascinating and her analysis of royalty’s present situation to be spot on. The BBC should be sued for the montage they aired on the World service with the sound of her speech behind a photo of the manuscript and all fronted with a picture of MS Mantel with her mouth open so you could see the gap in her front teeth that creates her lisp. I thought it was insulting. US press coverage was just as bad- trying to make controversy with sound bites. Did someone mention ‘Dogs with funny hats’? I’m all for David Cameron chiming in on things he knows nothing about and looking like the slimey buffoon he is. Of course The Mail Online ran this with it’s obnoxious sidebar of fat/thin/ugly/old celebrity stories, oh the humanity! Having read the hacked to bits bits on the (mea maxima culpa) Daily Snail (as they do leave a slimy trail)website, I thought she seemed merely to be describing what female Royalty have always been – King breeders – or Queen breeders. Heirs, in any case. Not just in England, either. I suppose the truth can be insulting.